Since 2007, we have helped over 4,000 businesses grow! It is no longer sufficient that your website is mobile-ready. It needs to be Mobile Effective. This means that key information regarding your business needs to be readily available, easy to find and active. By using an Active “stay-on-top” approach you can assure that key information is always visible and active on your customer’s mobile device. For example, your phone number and location are very important as customers consider whether to patronize your business or try to find your location. In many cases, customers are in transit. Having the ability to not only easily find your phone number or location, but also to simply click on the number and have it dial or click on the location and have it displayed on a map with directions is a huge advantage. Give your customers what they want. Let Us Help You Today. Let’s Do It Now! Beyond Custom Websites specializes in Mobile Friendly websites that will get your business noticed online. Our team will provide you with top digital products that will keep the online presence of your business fresh, relevant and ultimately reachable. Move up on Google Search... Get More Customers! We do it for you, this is NOT a do-it-yourself website. 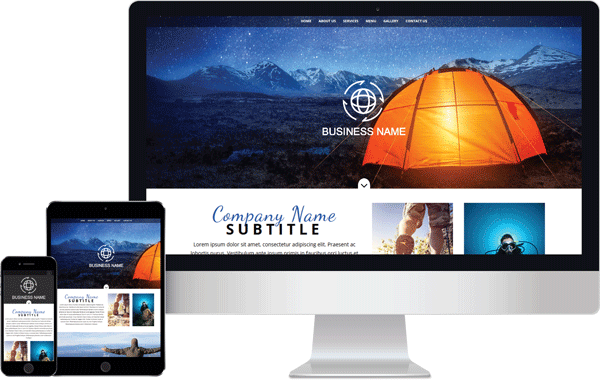 This is a custom website designed specifically for YOUR BUSINESS. No games, just affordable results. We can have your new Mobile-Effective website built and running within a few weeks.